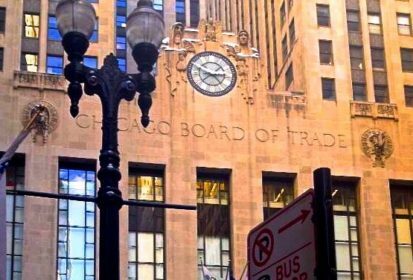 CNS Canada — One trader isn’t expecting much movement on Chicago Board of Trade (CBOT) corn and soybean markets until harvest starts in the U.S. Midwest. “I’m looking (past) all the (information) that we see every day and hear. We wait until the combines roll, they tell you the truth,” said Scott Capinegro of Barrington Commodity Brokers in Chicago. In the past week, CBOT markets have only moved slightly. The September soybean contract rose 0.0075 of a cent to settle Tuesday at $8.5825 per bushel, while the September corn contract lost 0.09 of a cent to settle at $3.525 per bushel (all figures US$). The ProFarmer crop tour of the U.S. Midwest is underway this week. And while official estimates won’t be released until Friday, reports so far put yield expectations right in line with the U.S. Department of Agriculture (USDA) estimates earlier this month. Corn yields from the tour for Indiana are estimated at 182.3 bushels per acre, compared to USDA’s estimate of 186 bushels per acre. Nebraska estimates are at 179.2 bushels per acre, versus USDA’s estimate of 181 bushels per acre. Reports on the condition of the soybean crop in Nebraska are put it above average, and well above average in Indiana. The ProFarmer tour estimates “don’t usually vary that much from the government, they may be a little bit lower than they are. I don’t think it’s going to be a true market mover,” Capinegro said. Traders are also paying attention to trade talks, but it’s hard to know exactly what is happening. According to Capinegro, they don’t really know exactly if there has or hasn’t been any progress on the trade front. Weather isn’t doing much to move the market either, according to Capinegro. If there is an early frost, that could have an effect on futures.